There are many inspiring stories behind the careers of our dedicated staff members at Advanced Prostate Cancer Institute. Their personal experiences have served to contribute to the high level of quality care all patients receive at the facility. Dr. Don Dubois, PhD, is the radiation physicist currently serving at the institute. Learning his story can help others understand why his career path clearly suits him and why he is able to continually provide patients with superior care. Dr. Dubois chose to join the military, but radiation physics was the path chosen for him. While serving, Dubois learned that the military had an open position for a medical physicist and was looking for candidates. It was then that he decided to apply to graduate school. Dr. Dubois attended the University of Florida and enrolled in the medical physics field of study. Having successfully obtained his advanced degree while still active in the military, Dr. Dubois was assigned to the specialty of radiation physics. Working for several years in this field, he spent time at several established medical centers. 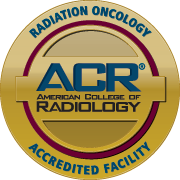 This allowed him to greatly expand his knowledge of radiation therapy, cover the full breadth of the field and gain an in depth understanding of its applications. After spending several years serving as a radiation physicist in clinics far and wide, Dr. Dubois decided to return to school, this time to earn his PhD. After graduating, he spent some time teaching graduate school. However, it didn’t take long for Dr. Dubois to discover that he really belonged back in the clinics. 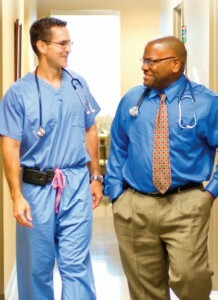 He had developed a passion for the work and enjoyed being with patients. Although it was not his original career goal, Dr. Dubois is grateful to be a radiation physicist today, finding a deep sense of fulfillment in his work. A long legacy of excellence, passion and service is what helps those who work in healthcare deliver outstanding patient care. Dr. Dubois’ story is just one of the many that serve to illustrate why the professionals at Advanced Prostate Cancer Institute are a highly effective team.